In keratoconus, there is sometimes the development of a nodular scar over the apex of the KC cone. This may cause discomfort or impede comfortable contact lens wear. In these cases, sometimes superficial keratectomy (SK) or phototherapeutic keratectomy (PTK) with a laser can be helpful. In the SK procedure, we carefully strip the scar with the goal of leaving a smoother ocular surface. The excimer laser may provide a novel modality in the treatment of a number of superficial corneal disorders as well. This treatment is known a phototherapeutic keratectomy or PTK. Whether PTK eye surgery is used alone or as an adjunctive strategy in traditional corneal surgical techniques, a number of disorders affecting the corneal surface may be successfully treated by taking advantage of the excimer laser's ability to meticulously remove superficial corneal tissue. These include a variety of corneal degenerations and dystrophies, corneal irregularities, and superficial scars. While some of these conditions, heretofore, could be treated by mechanical superficial keratectomy techniques, PTK may minimize tissue removal and surgical trauma. The smoother stromal surface achieved by the excimer laser procedure may improve surface smoothness of the cornea, improve postoperative corneal clarity and decrease postoperative scarring, and facilitate subsequent epithelial adhesion. 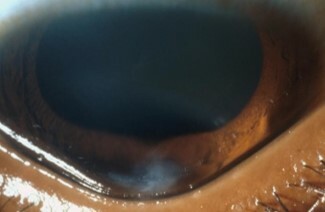 Moreover, superficial corneal disorders which, in some cases, would otherwise require corneal transplant may be amenable to treatment with the PTK procedure. Unlike the excimer laser PRK or LASIK technique for correction of nearsightedness, PTK treatments will vary with different corneal disorders, and the clinical goals of the procedure may, likewise, vary depending upon the patient's symptoms.